GlaxoSmithKline has been suggested as a potential M&A target for Pfizer, despite the US company backing out of a similar deal with UK firm AstraZeneca last year. 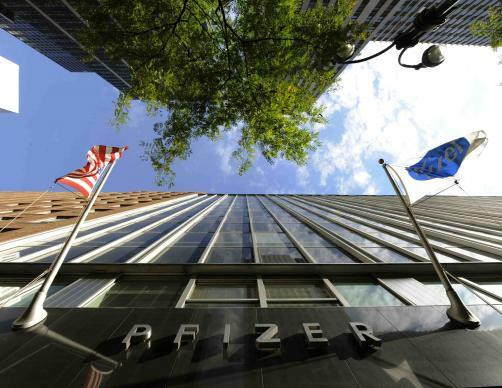 In a note to clients titled ‘Introducing PfizerKline’, analysts from Deutsche Bank have laid out the benefits that Pfizer could gain from purchasing the UK’s largest pharma company. “Pfizer’s shareholder-friendly management team has previously stated that the company is open to acquisitions of various shapes and sizes. Regardless of whether Pfizer decides to split the company into pieces at some point, we believe that the company has a sense of urgency to create value by leveraging the power of its balance sheet to do needle-moving deals. “As evidenced by Pfizer’s interest in AstraZeneca last year, one important goal for Pfizer has been to seek a deal that would maximize access to its balance sheet and improve its tax structure. Since media reports in the past have pointed to the potential for a Pfizer/GlaxoSmithKline combination, we are revisiting that theme and presenting a pro forma analysis of this potential combo. Lower UK tax rates were thought to be a key drive behind Pfizer’s attempted buyout of AstraZeneca, and the company lost interest shortly after the US introduced laws to curb the benefits of such overseas ‘tax inversion’ deals. The acquisition would have created the world’s largest pharmaceutical company, but the proposal was met with much opposition from politicians, the British public, unions and scientists, and AstraZeneca rejected all of the US firm’s increasing offers. It wasn’t long before Pfizer was back in the M&A arena though, as it went on to purchase Hospira for $17 billion this year in February. However, analysts from Citigroup in London were quick to rebuff suggestions that Pfizer has its eye on GSK.